LIBERTYVILLE, Ill. – Oct. 18, 2011 – Scorch more calories, shatter personal records and train even harder with MOTOACTV™, the new fitness device from Motorola Mobility, Inc. (NYSE:MMI). 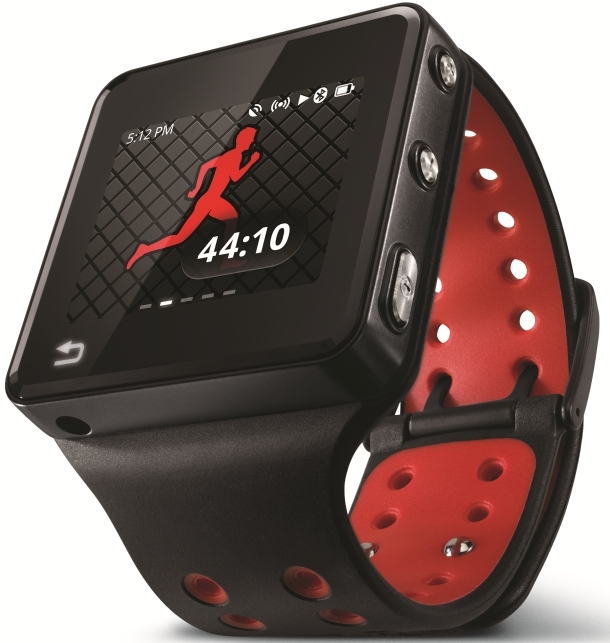 MOTOACTV is a lightweight, wearable fitness performance tracker and smart music player in one. Sync MOTOACTV with your PC, so you can check out the music you perform to best or track your workouts over extended time periods, set goals and even create workout competitions with your friends via the MOTOACTV Web Portal. And MOTOACTV features a touch-screen display so you can instantly launch a new workout or find that one song you’ve been dying to hear. We get it. You’re obsessed with your pace, number of calories burned, miles covered, personal records and fitness facts. MOTOACTV uses Motorola AccuSense™ technology and GPS to ensure measurement accuracy of your performance. Your time, distance, speed, heart rate1 and calories burned are all measured, so you can reach your fitness or weight loss goals faster than ever. Then, upload your workout to MOTOACTV.com to analyze the performance data tracked by the device and review useful, easy-to-understand charts, tools and programs that help you see your strengths and empower you to overcome challenges. You can also get workout tips and training plans from fitness experts at MOTOACTV.com and on your Android™-powered smartphone with our free mobile app available via Android Market™ and pre-installed on DROID RAZR™ by Motorola. Heart pumping, thighs burning and five laps to go. You need a serious soundtrack to get you through. MOTOACTV can rock up to 4,000 of your favorite songs while tracking your every move, from the Rockies to the gym. Ultra-portable, you choose the way you want to wear MOTOACTV: strap it on your wrist or arm, clip it to your shirt or mount it on your bike during an outdoor ride. Your playlist is more than just workout songs: they’re songs that push you to perform at your best. The smart music player learns what tracks motivate you most by measuring your performance against your music and then uses those songs to create your personal high-performance playlist. On those days when your automatically generated high-performance playlist isn’t doing the trick, you can switch to FM radio for even more song variety. And if the music is really moving you, go that extra mile – MOTOACTV tracks your outdoor training via GPS. 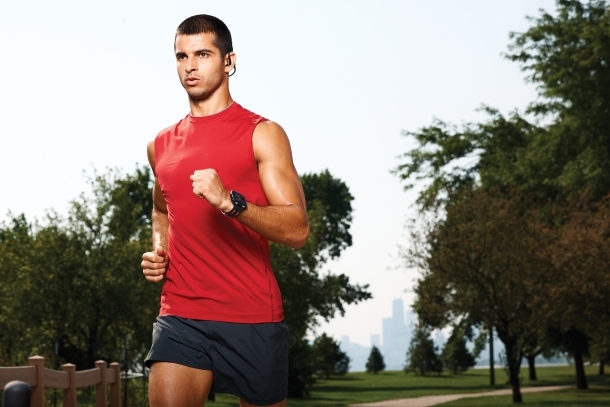 Real athletes don’t wear earbuds, they rock sports headphones. Introducing innovative sports headphones with built-in heart rate monitors, durable design and crystal-clear audio, the Motorola SF700 wireless and Motorola SF500 wired headphones deliver exceptional sound quality and real-time audible readouts of your heart rate allowing you to track your performance without the uncomfortable squeeze of a chest strap. MOTOACTV also gives you the option to stay connected to your Android™-powered smartphone, so you can answer calls, receive texts and rock out via your headphones without breaking a stride. In addition to working with MOTOACTV, the Bluetooth® wireless Motorola SF700 and wired Motorola SF500 sports headphones are compatible with mobile phones, music players and tablets from Motorola and other leading manufacturers. Beginning today, consumers can pre-order MOTOACTV at www.motorola.com, Amazon.com , Bestbuy.com®, REI.com and SportsAuthority.com. Starting on November 6, 2011, MOTOACTV will be available for sale at Best Buy®, Eastern Mountain Sports, REI, The Sports Authority and online at Amazon.com, with other retailers following shortly. The exclusive launch carrier will be Verizon Wireless with availability in November. The MSRP for MOTOACTV 8G is $249 and $299 for 16G. Motorola SF700 and Motorola SF500 sports headphones are sold separately and will be $149 and $99 MSRP respectively.